The Eurostage tennis school is aimed at children and young adults of all levels, from those starting out playing tennis to competing players. Qualified coaches. Students are grouped together according to levels and ages. Small groups. Registration open from September to June. The summer camp combines tennis with other sports, activities and games. It is aimed at boys and girls aged between 5 and 16 years of age. The little ones follow short courses, and the older ones, the campus course. You can choose the morning timetable (from 8am to 1pm), or decide to stay for lunch at Eurostage and do the afternoon activities (until 5pm). In the short courses, the little ones can enjoy varied and fun activities, based around a theme: workshops, games, sports, gymkhanas, swimming pool…, the majority of these take place in the outdoors. 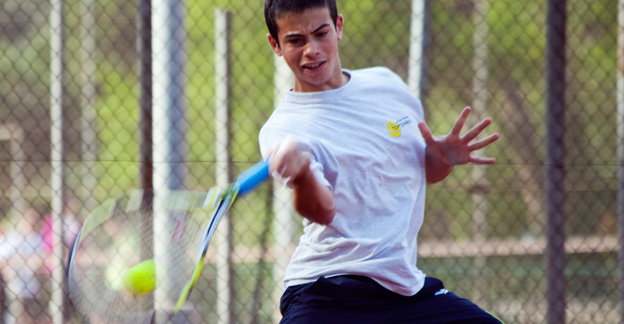 In the campus course, the older children will carry out a wide range of sports activities, with tennis competitions and training sessions organised by qualified teachers and specialised coaches. 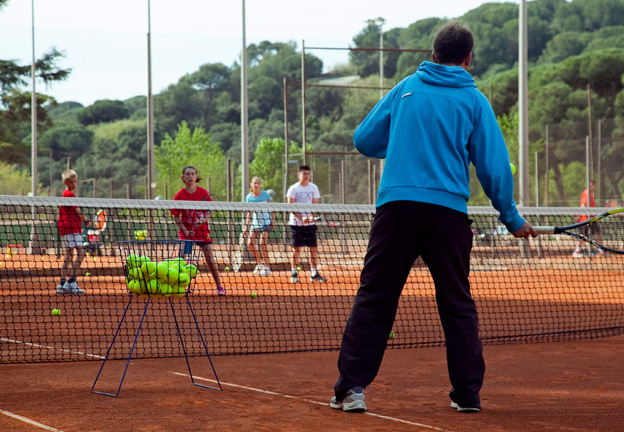 4-day-long intensive training with the aim of boosting each student’s tennis skills and attitude in order to increase their performance when competing. All aspects involved during play will be practised: technique, strategy, physical preparation and psychology. Tennis course open to all, with two timetable options: mornings (9am-1pm) or all day (9am-5pm, with lunch included). 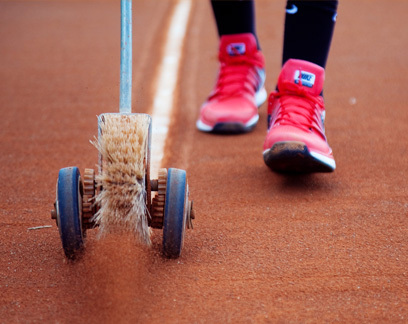 Monitors from the tennis school regularly organise affiliated tennis tournaments in the facilities. We are creating our own competition team among those students in the school who have a more intense relationship with tennis. International students visit us to take part in competition visits. Our tennis school on Facebook!